I wrote short stories as a child. I remember I showed one to my mother (who observed, with astute insight, that it was ‘rather repetitive’). I also remember sitting in the dining hall at school with my friend Pauline Rooney – the two of us were avid writers and whenever we had written a short story we would read it to our friends over lunch. It would be many years later before my dream of writing a full-length novel was to become a reality. Starting a New Season began with the spark of an idea, which was to explore different forms of contemporary addiction and obsession. I wanted it to be insightful yet funny and never preachy. I settled on a narrator for the story – a young woman named Sarah Morgan – and took the germ of my idea to the late Julia Darling at Newcastle University. ‘Where does Sarah live?’ Julia wanted to know. 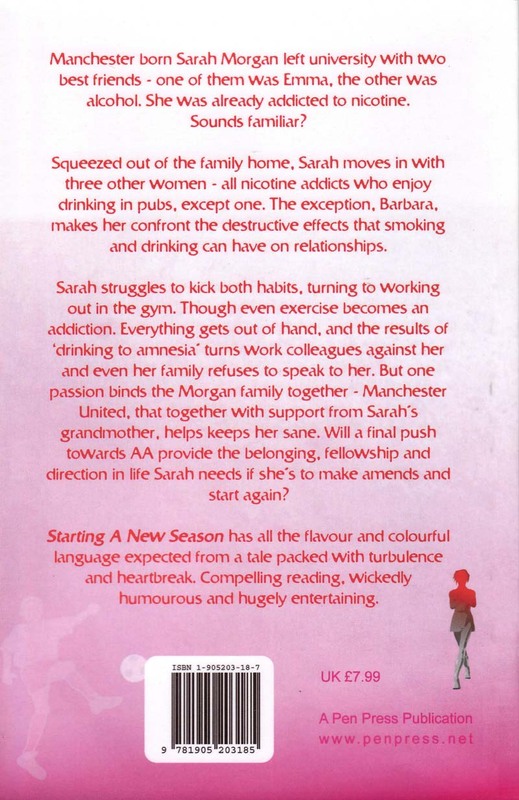 ‘A novel must have a time and a place.’ I settled on Manchester – and then decided that Sarah Morgan would be an obsessive supporter of Manchester United. After that, the novel took off and the first draft was completed in 2004. It was published by Pen Press the following year. It is still in print, and well worth the read. My only other fictional writing since then has been a short story, The Allotment, which I entered for a magazine competition and didn’t win. I know there’s more fiction writing to come. I just can’t say when exactly. 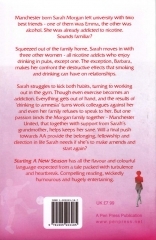 Watch this space – and if readers of Starting a New Season have any interesting plot lines for a sequel then do get in touch.